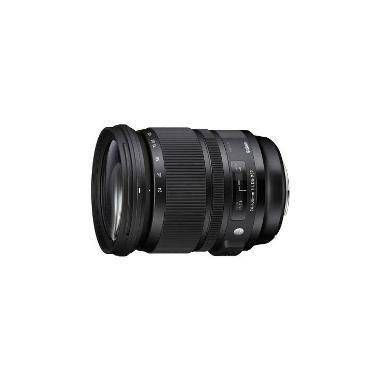 The Sigma 24-105mm f/4 DG OS HSM Art Lens for Nikon is part of Sigma's Art line of lenses designed to achieve optical performance that is suited specifically for creative and artistic applications. It minimizes coma flare, chromatic aberrations, and vignetting. The fast, quiet AF is good for video shooting and a special Super Multi Coating allows for higher contrast and color fidelity. It covers a wide-angle to medium telephoto range that works well on both full frame and crop frame sensor cameras. At only 4” in length, this lens is great for travel. This lens is ideal for those times when carrying a variety of lenses is not an option and you need something that can do it all. • This lens will mount on Nikon F mount crop sensor cameras in both full frame and crop frame sensors. The focal length equivalent on crop frame sensors is 36-158mm.